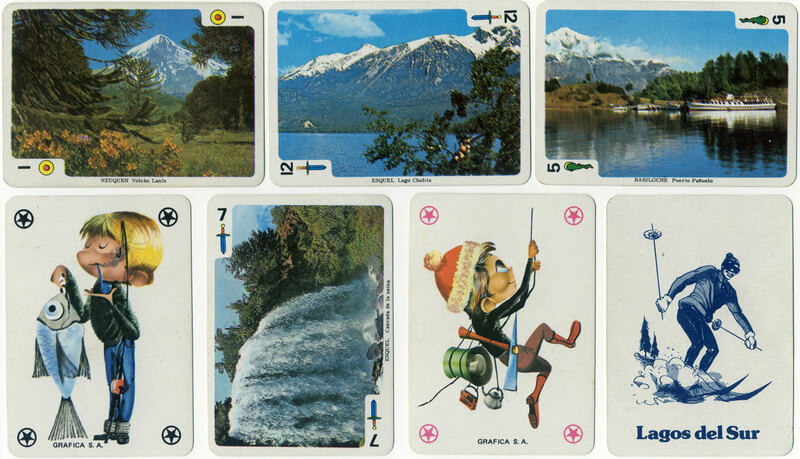 Lagos del Sur Souvenir, Argentina playing cards published by Gráfica S.A., Buenos Aires, c.1980. 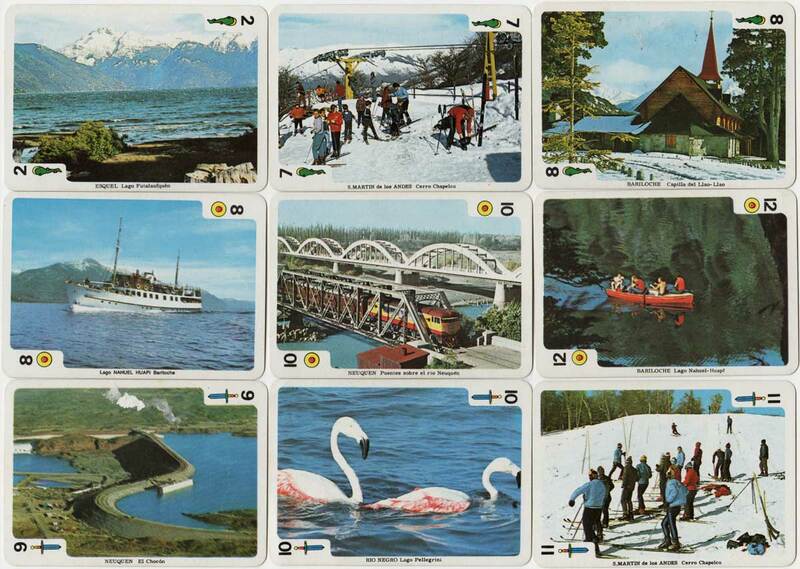 The colour photographs on each card promote the region as ideal for outdoor holiday activities such as skiing, canoeing, enjoyment of natural environment, wildlife, fishing and sightseeing. 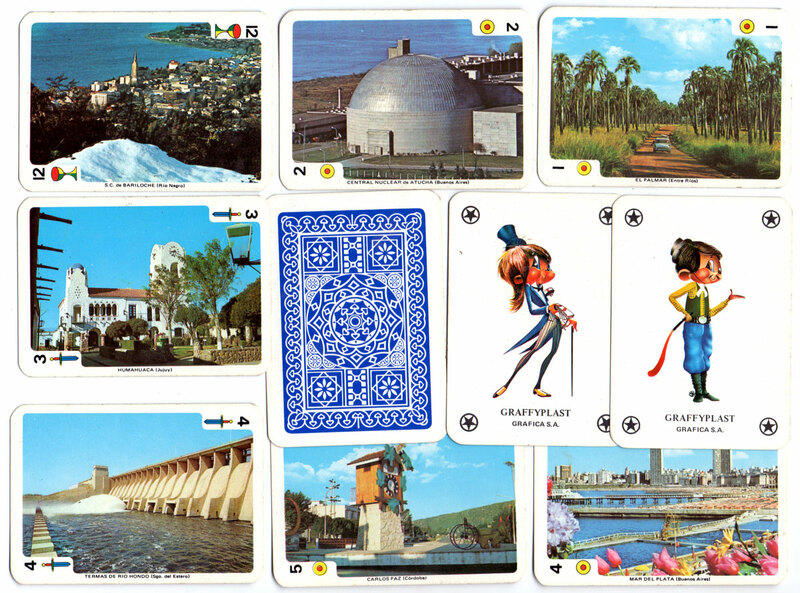 Gráfica S.A. published a range of similar decks for different locations, with either Spanish or English suit systems in the corners.